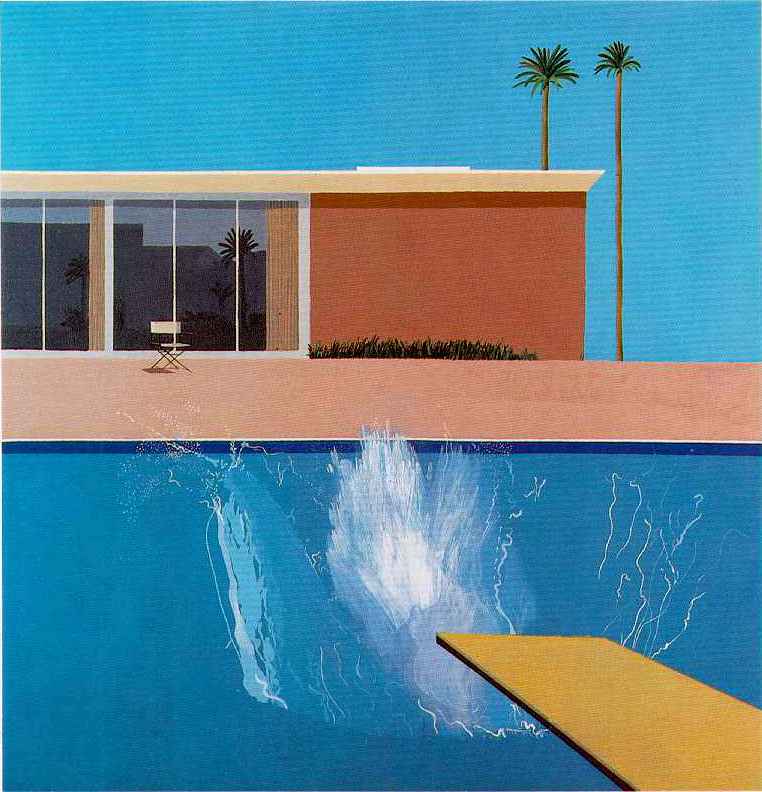 “A Bigger Splash,” David Hockney, 1967. If the house is a machine for living, as Le Corbusier famously said, then the pool is the hedonistic machine for pleasure. 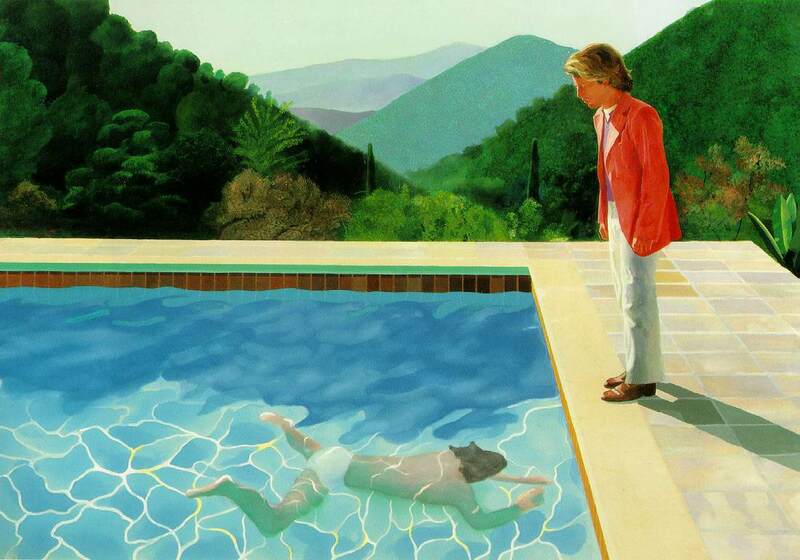 And no artist captured the thrill of the quick plunge, or leisurely submersion, quite like David Hockney. “Portrait of an Artist (Pool with Two Figures),” David Hockney, 1972. Though born in Yorkshire, England—which has to be one of the least sunny places in the world—Hockney was an apt renderer of the swimming pool and the architecture surrounding it. The artist began painting them during his first trip to Los Angeles in 1964, and the resulting vibrant, almost abstract, planes of color captured the clean lines, flat surfaces, and the openness to the natural environment of California Modernism. 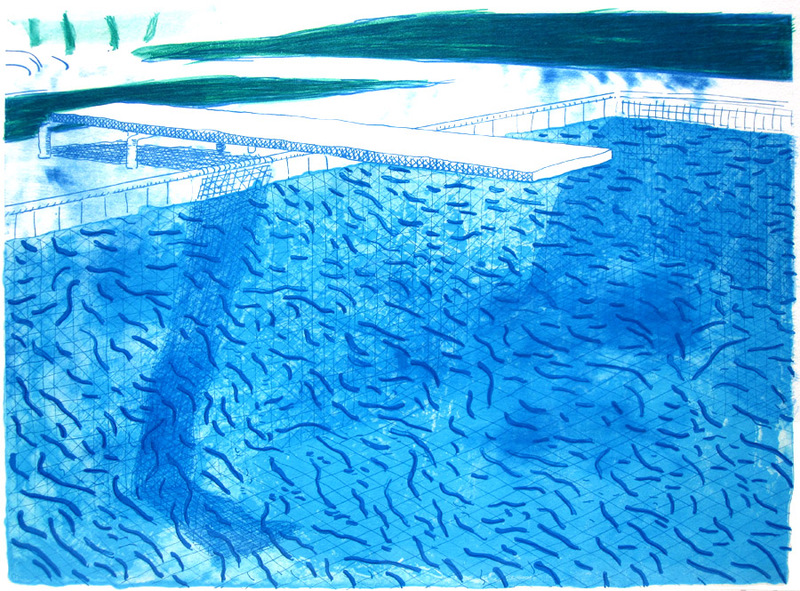 “Lithograph of Water Made of Thick and Thin Lines and a Light Blue Wash and a Dark Blue Wash,” David Hockney, 1978. 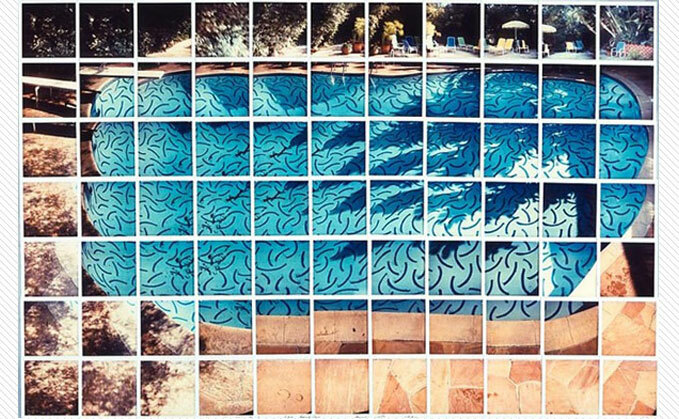 “Sun on the Pool,” David Hockney, 1982. 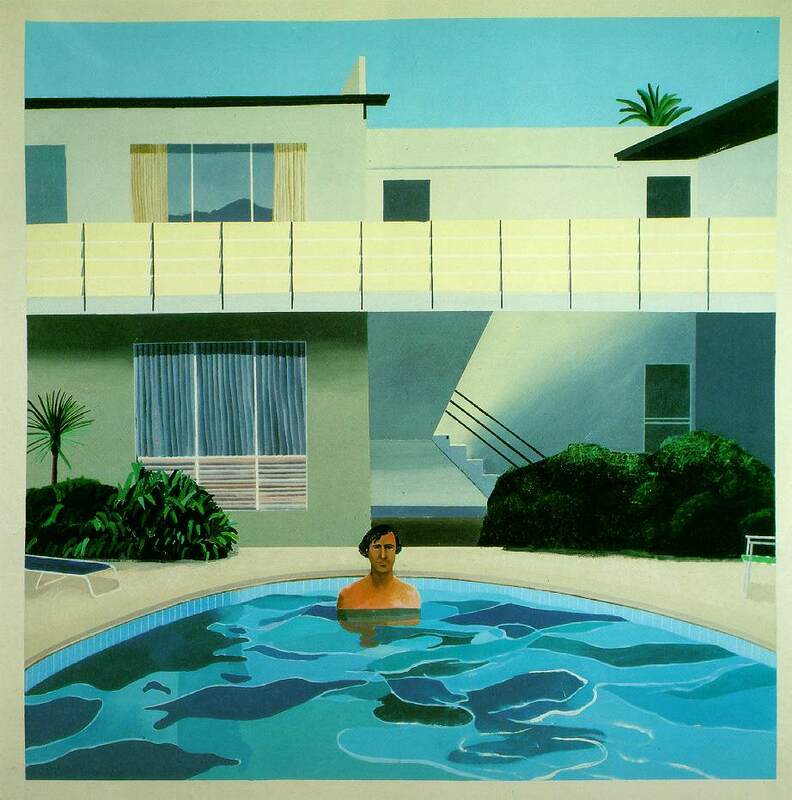 This entry was tagged architecture, art, David Hockney, design, Modernism, Pool, Pools, So Cal Modernism. Bookmark the permalink. Reblogged this on Professional Swimming Pools are servicing, maintaining and consultants to London's Swimming Pool Owners.